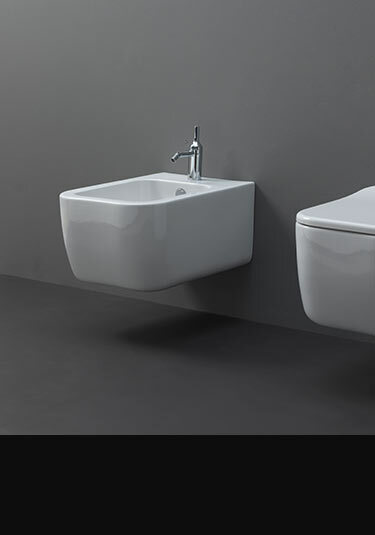 This luxury bathroom suite range is a collection of contemporary designed wash basins, toilets and bidets, mixed with a range of high quality painted and real wood bathroom furniture. These luxury bathroom suites are superbly Italian styled and manufactured in Italy, ensuring high quality designer bathrooms in the latest styles. All luxury bathroom suites are supplied with a 5 year guarantee. 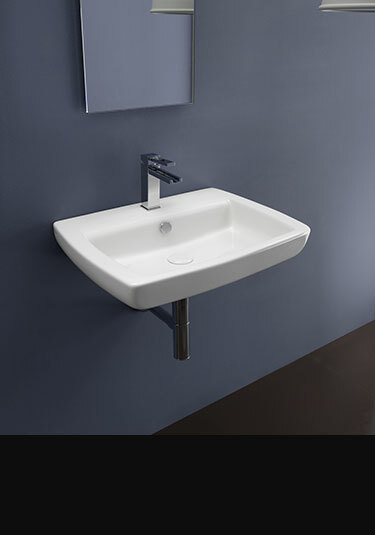 Italian counter top basin with built in overflow produces a stylish bathroom work top design. 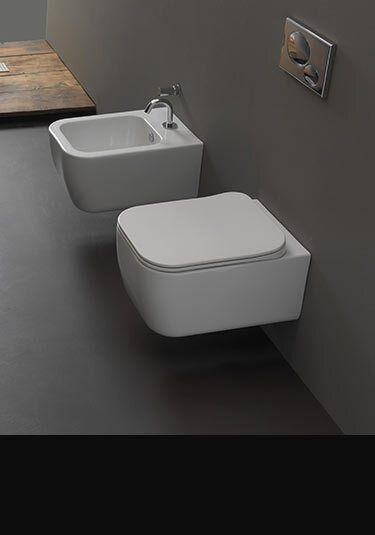 A contemporary wall hung wash basin available in 2 sizes. 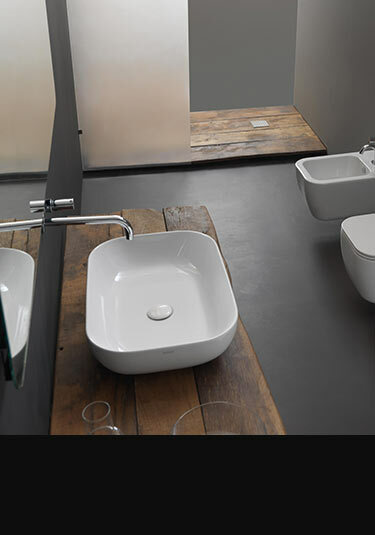 This designer basin is Italian manufactured and is luxury quality. Classically contemporary styled wash basin with Wenge wood vanity unit. This Italian basin has a handy left or right hand shelf option. Luxury quality Teak vanity unit with counter top basin that is Italian designed and manufactured. 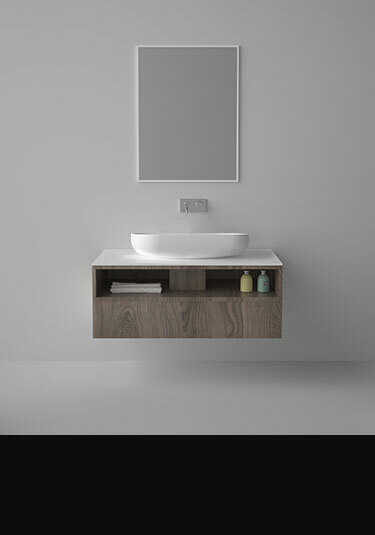 Basin can also be wall mounted without cabinet. 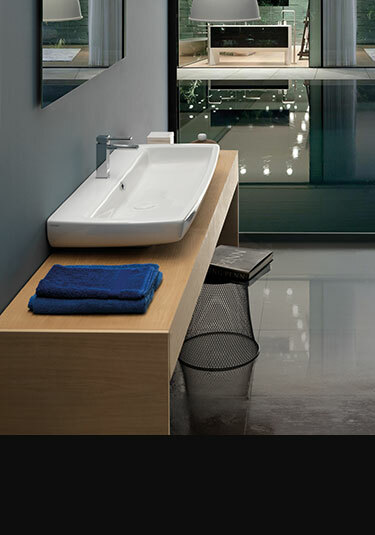 Stylish high quality polished chrome washstand with classical ceramic basin will add luxury to design led bathrooms. Nicely styled wall hung toilet which includes the seat. 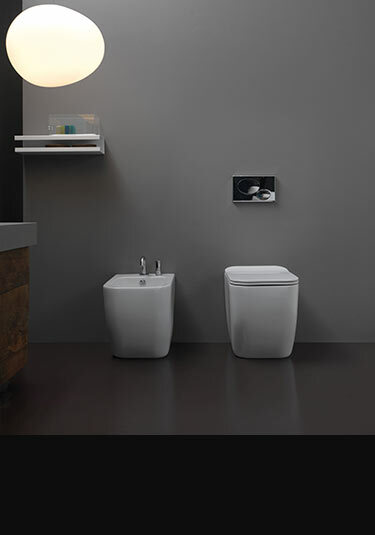 A luxury wall toilet designed and made in Italy. 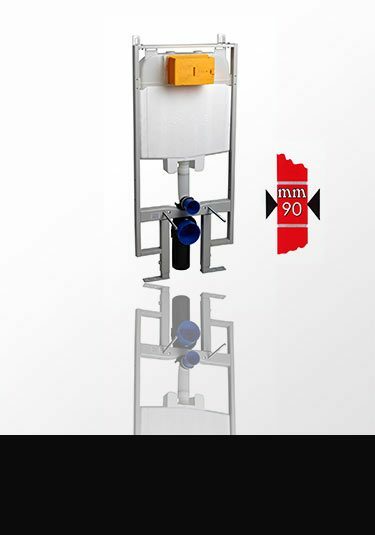 Contemporary styled Italian back to wall toilet that is manufactured in Italy ensuring good quality with great bathroom design. 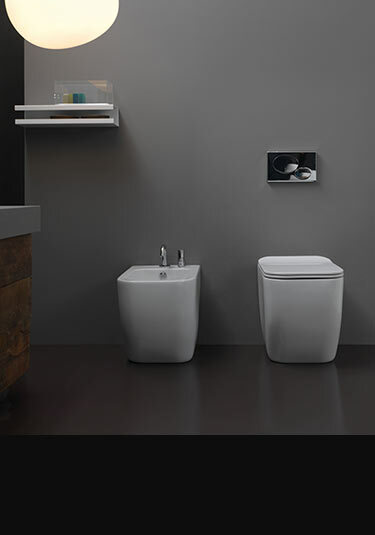 Good simple styled wall hung bidet that encompasses contemporary minimalist design. Luxury Italian design and manufacture. Italian styled, this back to wall bidet is high quality European manufactured.